Many who are selling a home have reported that the thought of having their home inspected as a part of the sales process is a bit intimidating. Sellers say they worry about what the inspector might find, and how it will impact the sale of the home. These concerns can be eased through preparation. 1. Go throughout the house and fix the simple things. Replace burned out light bulbs, tighten cabinet and door handles, make sure the sink stoppers work, replace broken outlet covers, and take care of other items the home seller is comfortable repairing or replacing. Repairing these types of things before and inspection will reduce the number of negative findings on the report delivered to the potential buyer. 2. Major items that need repair (such as a roof, air conditioner, or other major components) should be fixed or replaced, or disclosed as needing repair or replacement. Systems that do not function properly will be noted in the report for consideration by the buyer. 3. Make sure the inspector will have full access to all areas including building interior spaces, the exterior, attics, crawl spaces, utility buildings, utility panels, and other areas. If utility panels or storage spaces are locked, unlock them, or leave a well identified key. Move or remove items which impede visibility and access. At least 3 feet of clearance is recommended around utility panels and controls. If the inspector cannot gain access to a panels, controls, crawlspaces, attics, or other interior or exterior spaces, the reason will noted in the report, and the report can be considered incomplete. 4. Be sure that water, electric, and gas services are turned on, and that all systems in the house (e.g. A/C, heat, kitchen appliances, and other systems) are functional so they can be tested. Inspectors will not (for liability reasons) ignite pilot lights or turn on breakers. Without the utilities on, and the systems in an operational state, they cannot be fully inspected and tested, the report can be delayed, and closing dates may be pushed back or canceled. 5. Provide evidence that the home has been well cared for. Be sure the home is clean and presentable inside and out. Though an inspector is looking at things beyond housekeeping, a messy home will give the impression that it has not be well cared for. Leave receipts for repairs out where they can be reviewed. Evidence that a home has been properly maintained will give a positive impression. On the day of the inspection - Be ready at least 30 minutes ahead of time. Don't plan on being in the home while the inspector is there (unless absolutely necessary). If you are concerned about having someone in your home while you are away it would be better to have your Real Estate professional there to represent you. The inspection may take 2 1/2 to 3 hours to complete. Finally, if there are pets, arraignments should be made to have them out of the home, or at least in a kennel, crate, or tethered well away for where the inspector needs to be. You will want to avoid the possibility of an incomplete inspection, losing your pet, or the liabilities that can result from a nervous pet. 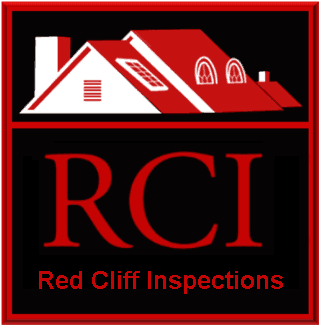 Another way to be ready for the Home inspection is to hire an inspector of your own prior to listing your home for sale. Their report will provide you with information that can help you prepare your home to present well. A pre-sale inspection will also give potential buyers confidence that there are no hidden issues, and make your home stand out as a real value. Consult your real estate professional for more information on how to prepare, and what to expect, when your home is inspected.